Millions of developers are using Artificial Intelligence (AI) or Machine Learning (ML) in their projects, says Evans Data Corp. Evans’ latest Global Development and Demographics Study, released in January 2018, says that 29% of developers worldwide, or 6,452,000 in all, are currently using some form of AI or ML. What’s more, says the study, an additional 5.8 million expect to use AI or ML within the next six months. In practice, artificial intelligence – also simply defined as AI – has come to represent the broad category of methodologies that teach a computer to perform tasks as an “intelligent” person would. 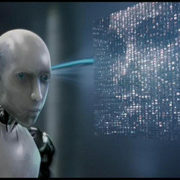 This includes, among others, neural networks or the “networks of hardware and software that approximate the web of neurons in the human brain” (Wired); machine learning, which is a technique for teaching machines to learn; and deep learning, which helps machines learn to go deeper into data to recognize patterns, etc. Within AI, machine learning includes algorithms that are developed to tell a computer how to respond to something by example. Why So Many AI Developers? Why Now? You can find AI, ML and DL everywhere, it seems. There are highly visible projects, like self-driving cars, or the speech recognition software inside Amazon’s Alexa smart speakers. That’s merely the tip of the iceberg. These technologies are embedded into the Internet of Things, into smart analytics and predictive analytics, into systems management, into security scanners, into Facebook, into medical devices. A modern but highly visible application of AI/ML are chatbots – software that can communicate with humans via textual interfaces. Some companies use chatbots on their websites or on social media channels (like Twitter) to talk to customers and provide basic customer services. Others use the tech within a company, such as in human-resources applications that let employees make requests (like scheduling vacation) by simply texting the HR chatbot. One of the most valuable benefits AI brings to organizations of all kinds is data. The future of Fintech is largely reliant on gathering data and staying ahead of the competition, and AI can make that happen. With AI, you can process a huge volume of data which will, in turn, offer you some game-changing insights. These insights can be used to create reports that not only increase productivity and revenue, but also help with complex decision-making processes.